Earning an income from home as a special needs parent can take many different forms. I gave you 5 top ways here but the most popular way, and the most flexible to special needs parents, is through affiliate marketing. Although you may have heard the term affiliate marketing before, you may still be wondering what exactly is it? I like to think of affiliate marketing as getting paid for recommending and sharing products that you’ve used and feel that solve a problem for others. Write about the product or service in a way that shows the benefit to your audience on your blog – how will this solve their problem? Think of this like the new age word of mouth marketing. Why does this work so well for special needs parents? Well I can give a few good reasons, but you probably are already thinking of a few yourself. We all have our own very unique situations and challenges for why this is a good fit but here are some of my own. You’re already doing it, you’re just not getting paid for it! You have tried so many products to help your child so you know which one’s fail, and miserably I might add, and which one’s you can’t live without. You’re already telling other families about it, might as well help your family by creating an income. No selling! Yuck, that nasty word sales. Everyone hates that word! But you’re not selling anything, you’re simply sharing a solution to a problem and letting the reader decide what their next action is. You’re up till midnight every night researching how to help your child, why not help others too? Listen, you know you never sleep, why not dedicate the time that you spend on Facebook to working on your blog on a topic you enjoy and start generating an income too? 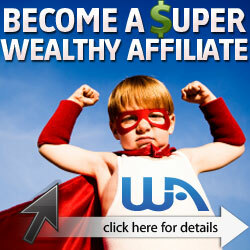 Shift your focus from non-income producing online activity to income producing activity! Can be done anytime you want and on the go. Anywhere you have a connection, you can be maintaining your blog and producing and income. Got a research study in Iowa (yup, we did it!) then bring the laptop and blog about it! While you’re on the plane, you never know who is reading your posts and making a purchase! Do the work once and get paid again and again. What you write is out there until you take it down. That recommendation from 2 years ago? You can still get paid on writing that post over and over again without doing anything else to it. Smart parents leverage their time. Make time work for you! This is where I found it all too time consuming and frankly, confusing to learn on my own. If you want an EASY way to get set up with a blog geared to start making you money at home, then make sure you check out my post on how to set up a blog in 30 seconds. Not only can you get started with a free website, but you’ll get the training you need, step by step on what to do each day! It is broken down into small chunks of actionable steps that keep you busy starting to make money online. Give it a try! Earlier I shared some of the reasons why I found affiliate marketing would work for special needs parents. What about you? What reasons did you think would be good for you? Drop me a comment below.